The Japanese culture may be one of the most interesting Asian cultures there are – especially their art and Architecture. There are a couple of renowned Japanese Architects that marked the history. One of my favorites is Tadao Ando, he designed the popular Church of the Light. Find it in the internet and you’ll surely be amazed. Of course, that is just one of the popular Architects in Japan that I actually “met” when I was in college. Haha! Japan has beautiful creations to be proud of too – so, today we will be showing you a couple of pictures where you can see a bit of the culture, art and Architecture of the Japanese people in the modern times, check it out! Arts and Crafts style is as far from frothy Victorian sofas and ornately carved case goods as it’s possible to go. Instead, it embraces sturdy, unadorned, comfortable furnishings that are built to last and are as much about function as form. 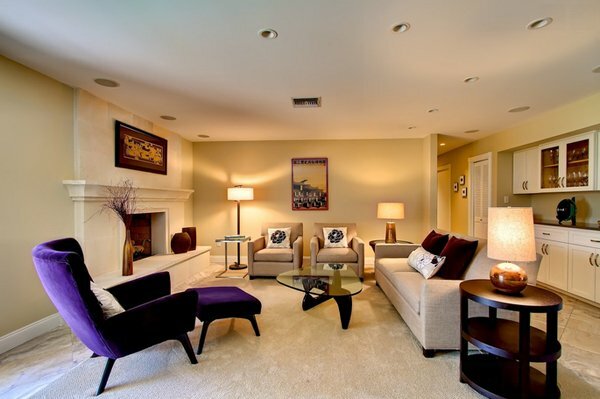 Elle Interiors approach was to create a sophisticated, serene, yet interesting home that would stand up to time. 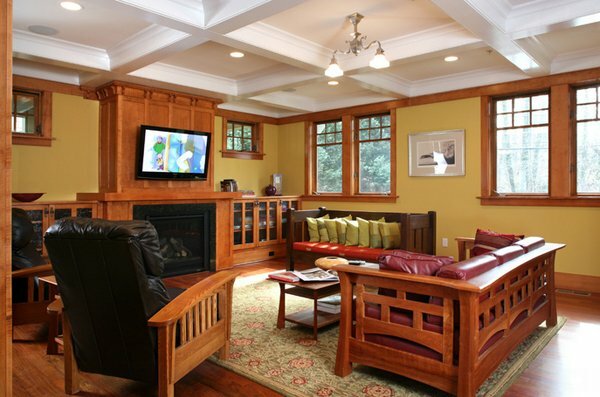 Our clients love their new home, and get constant compliments on the design. 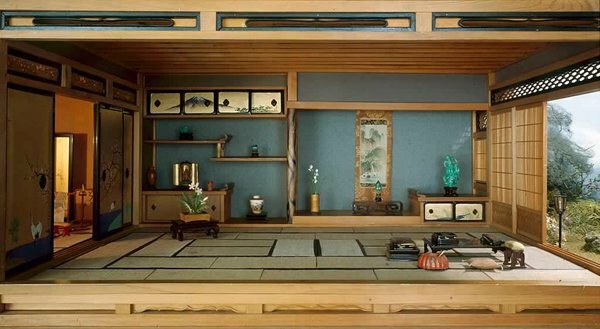 A bonsai is right at home in this Japanese-style interior, and in fact a room like this one could feel incomplete without a bonsai. Quiet living room setting overlooking the city. 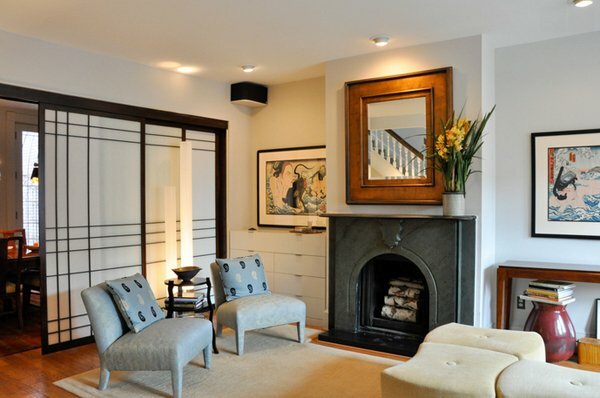 This row house is only 18 feet across, so the homeowners have adopted the Japanese solution of sliding screens to keep the rooms feeling open and airy but separate when needed. 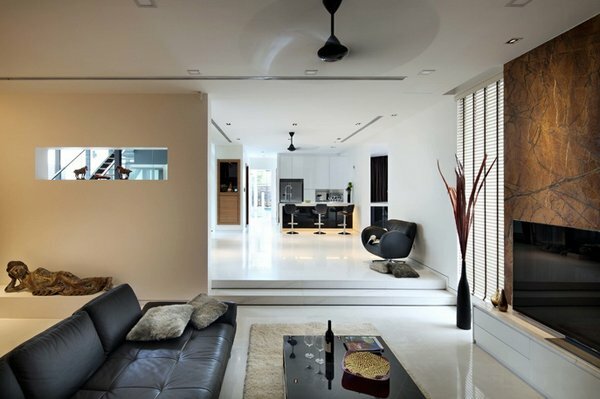 The Interior Place (S) Pte Ltd. 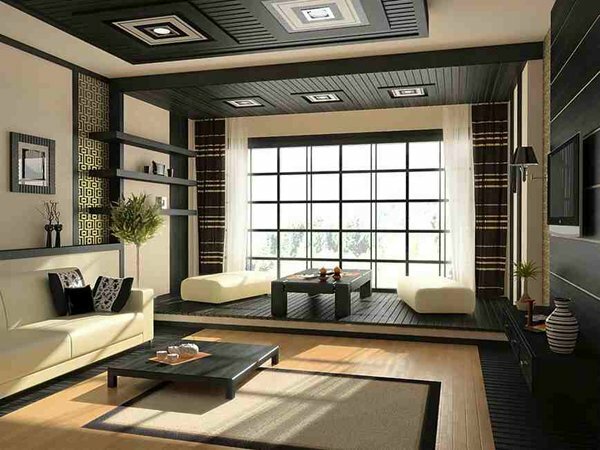 This is one modern Asian living room which is super stunning and inviting too! 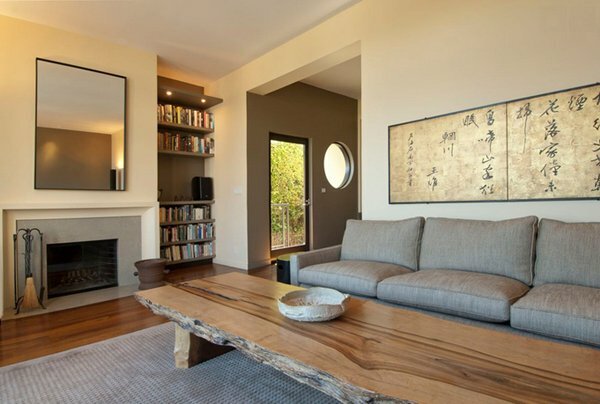 “This cantilevered end of the living room was an odd area; the client liked the idea of transforming it into a Zen tea area,” Dahlin says. 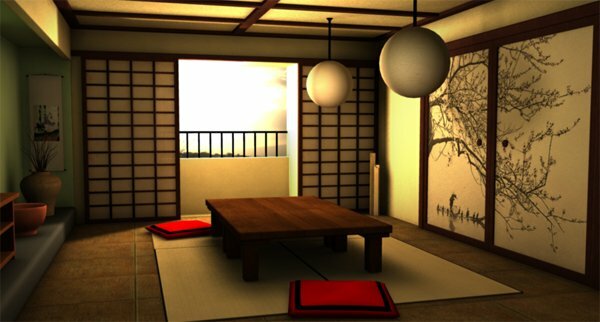 Although the space is an authentic Japanese space and the seating is Japanese-inspired, they do not actually go well together, what do you think? 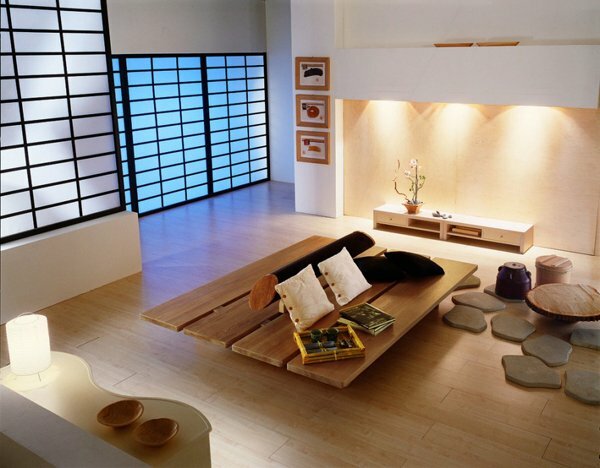 When I saw this picture, I told myself that this is possibly how one modern Japanese living room would look like. 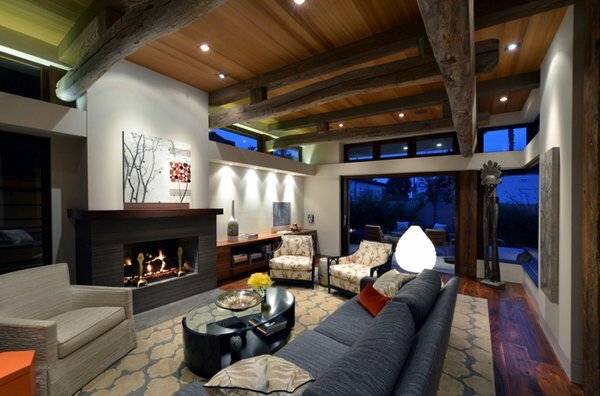 This living room feels serene; it has a nice rug, darker wood plank floors, soffit lighting and stunning beams. 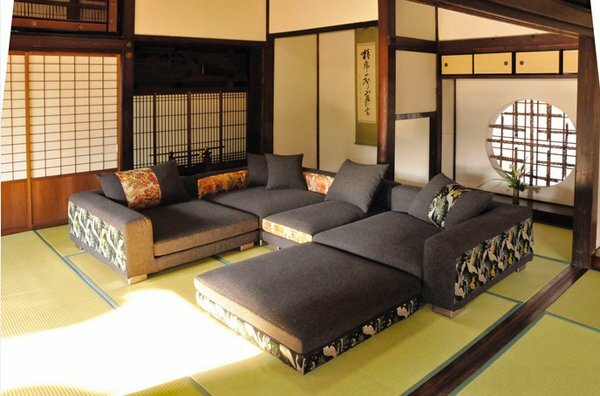 In Japan, where energy costs are some of the highest in the world, homeowners use window treatments as both decorative and functional. These Japanese rice paper shades (called “shoji”) provide protection from drafts, while allowing in natural light during the day. Krislock’s interior is kept sparse to let the wooded surroundings steal the show. She bought the handmade silk kimono shown here in a shop while living in Japan. “Japanese women have various kimonos for different parts of their wedding,” she says. I love the details on the screen door to the right and the cute balls hanging from the ceiling. 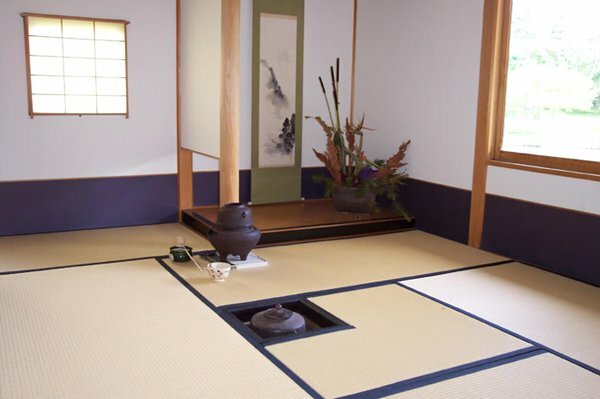 We see how a tea room looks like in a Japanese home setting – screens are common and plants too. 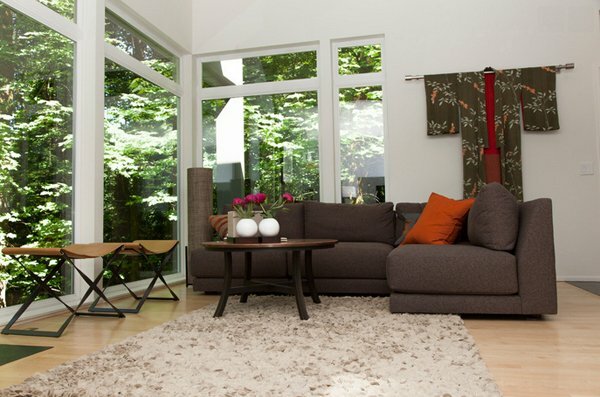 This living room is an example of how one contemporary Japanese living room looks like. It is beautiful right? Screened walls, an umbrella, a potted plant and a few pillows with a tea set – what more can you ask for? 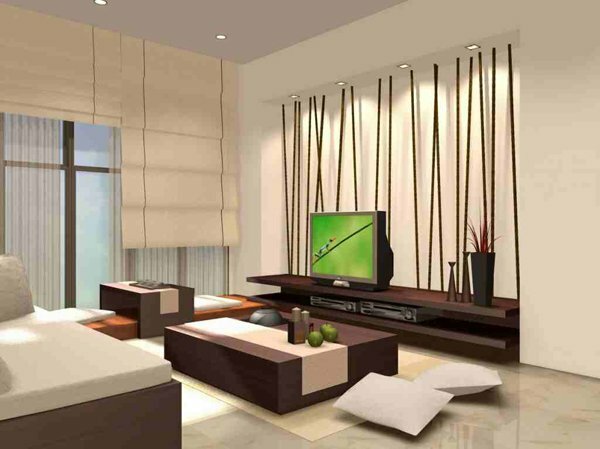 I like the details on the accent wall behind the television; the roman shades is stunning too! 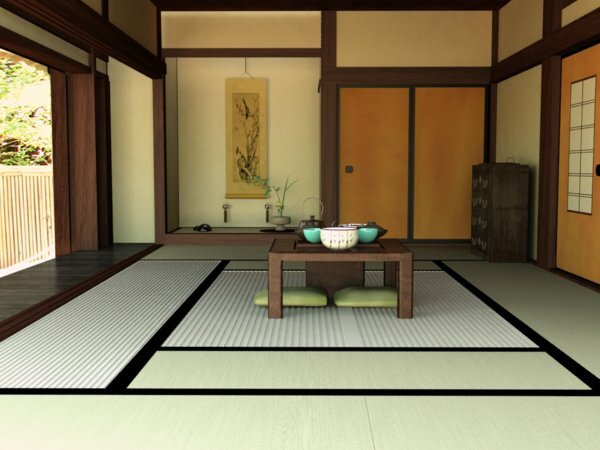 Here is one look at a traditional Japanese living space in modern day Japan. 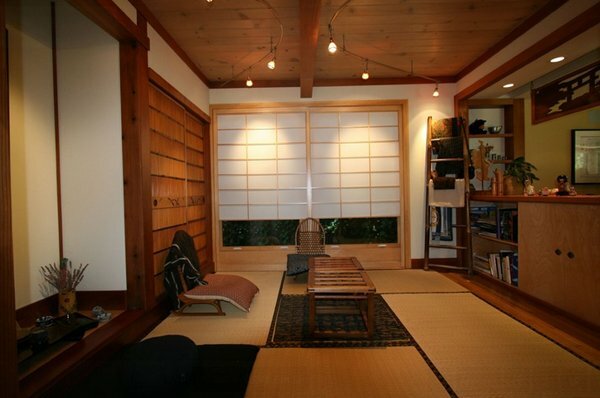 Traditional materials and decor only with a more contemporary twist to a Japanese living space. 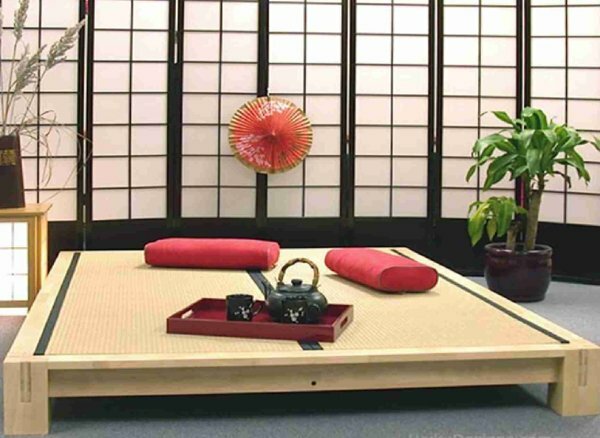 It is common for a Japanese living room to have one table for the purpose of having tea – but from time to time, they use collapsible tables since their living rooms are usually empty. There you have it ladies and gentlemen, the beautiful culture that Japan has shared with us that cater not only to the traditional people out there but also the modern ones that still want to see a piece of their culture in their very home away from Japan. Hope you liked this list guys! 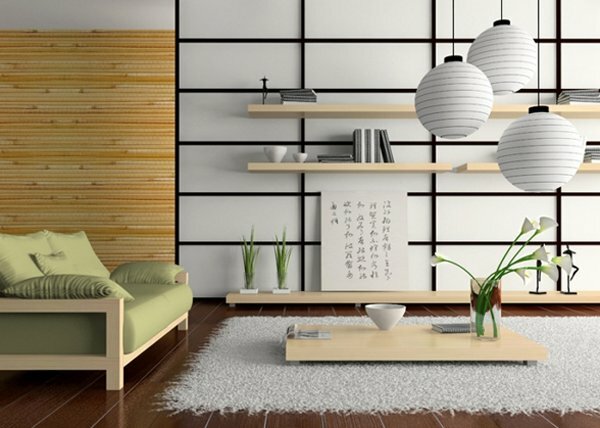 Do check out the article about how to Japanese inspired spaces!